Reactive systems are intrinsically difficult to model since they require designers to address the concepts of parallelism, communication, synchronisation, abstraction and non-determinism. Modelling complexity can be best handled through an incremental approach, whereby the behavioural specification of a system is defined step-by-step. IDCM is a framework allowing UML models to be analysed through an incremental process. IDCM guarantees that a model under construction or evolution is compliant with its previous release according to a behavioural point of view. 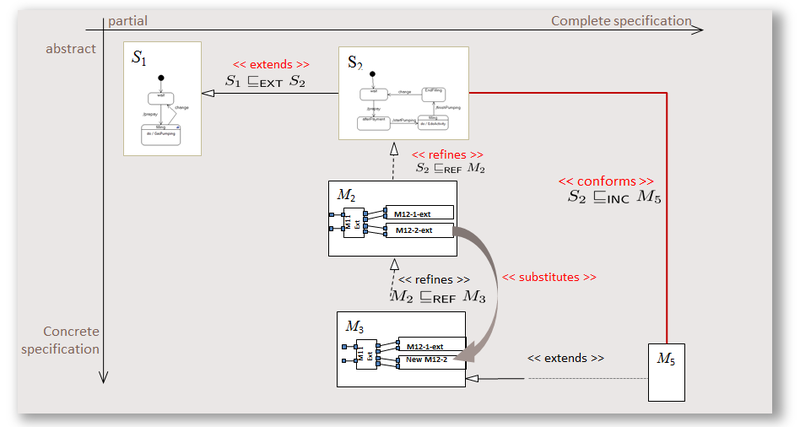 Model evolutions may be: extension, refinement or component substitution.